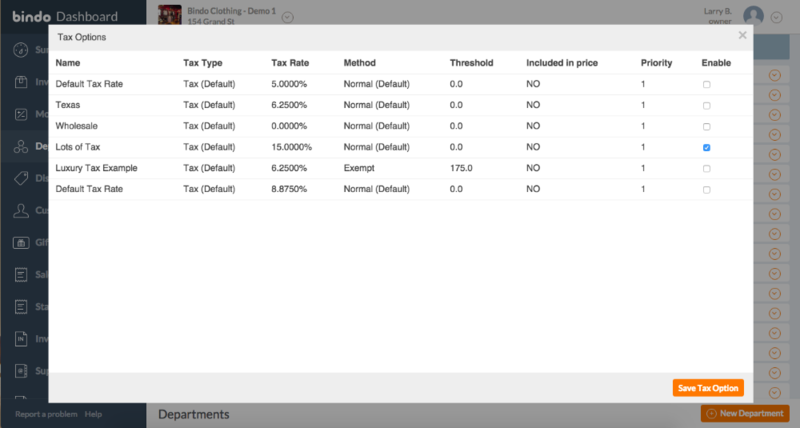 With Bindo you may assign taxes to items by item or by department. You may also assign multiple taxes to a specific department or item. To assign tax to a specific department, navigate to the "Departments" page on the Bindo Dashboard. 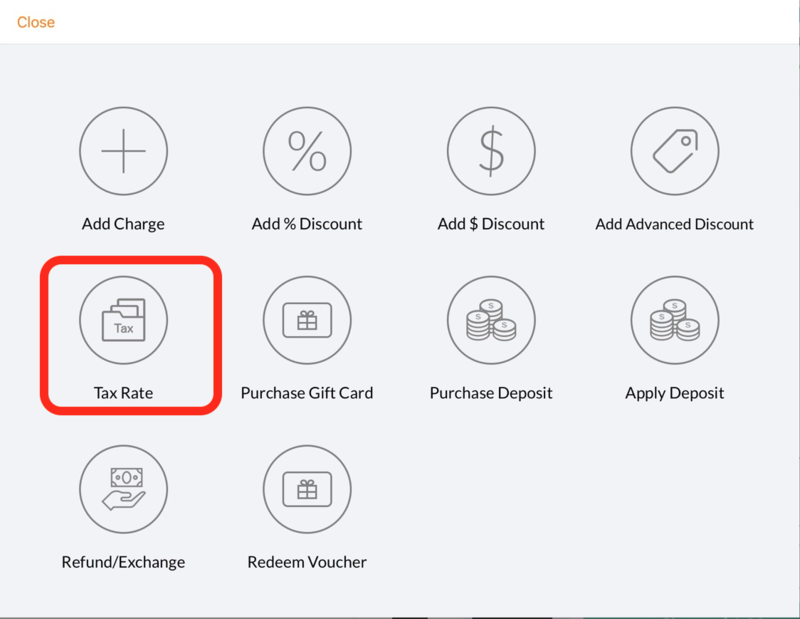 For each department that exists in your store you may assign one or more tax rates by clicking on the orange arrow icon on the right side of the page. Click on "Tax Options" in the menu. The following Tax Options menu will appear. Click on the checkbox next to the relevant tax option. All tax options that you've set up for your Store Tax Options will show here. You may select one or more tax options by selecting the relevant checkboxes. If you select more than one checkbox, multiple taxes will apply to all items within this department. Find the item that you want to edit using the search function or by scrolling through your inventory list. Click on the arrow to the right of the relevant item and click "View"
You will be taken to the item's "Overview", click on the "Tax Options" tab (fourth from the left). Click on the "Edit" button in the bottom right corner of the page. Click on the checkbox next to the tax option that you want to apply to this item. All tax options that you've set up for your Store Tax Options will show here. You may select one or more tax options by selecting the relevant checkboxes. If you select more than one checkbox, multiple taxes will apply to this item. Click on the "Save" button in the bottom right corner of the page to save your changes. 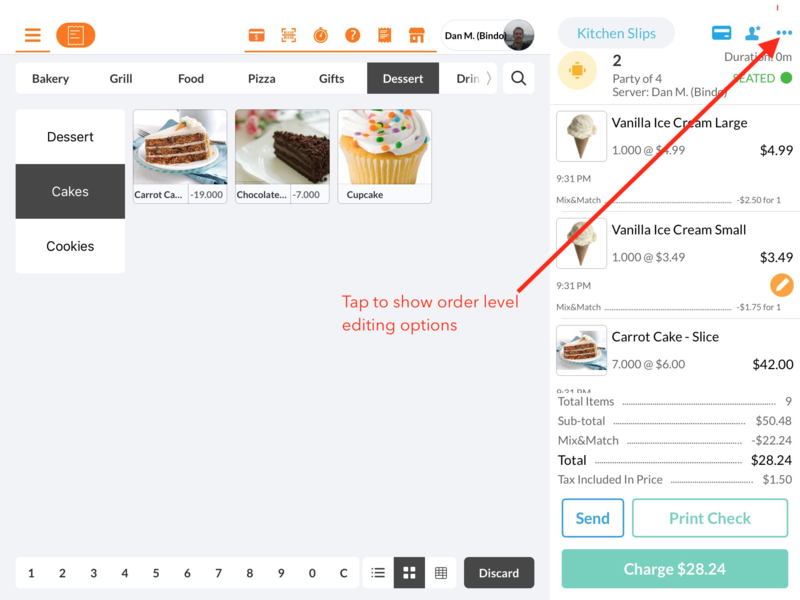 Tax is assigned on a line item level and it can be changed per line item, or for an entire order. Tap on the current tax rate you have selected to unselect it. Tap on the new rate(s) that you want to apply to this line item. You will see a check mark next to the selected tax rate(s). Note that if you do not unselect the current rate that multiple tax rates may end up getting selected. 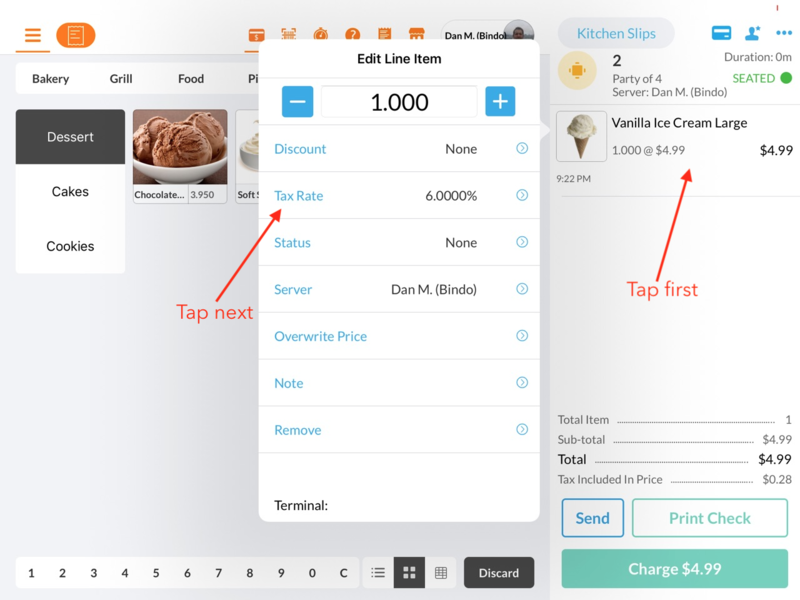 Tap on the new rate(s) that you want to apply to the order. You will see a check mark next to the selected tax rate(s).